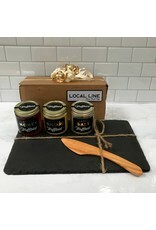 This Truffle and Slate gift box is a lovely pairing of two local Brooklyn Makers and a for-the-win gift for anyone who enjoys nibbling and umami, the 5th taste. What is umami? It's described as a pleasant, round, savory taste that has the power to elevate any dish or recipe and truffles have umami for days. 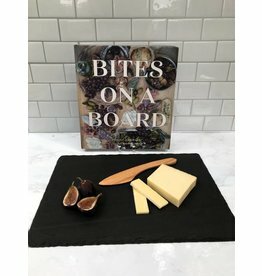 A handmade slate board is the foundation of the gift box, quarried locally and handmade in right here by Brooklyn Slate. Wanna know what Martha said about them... "The crafters at Brooklyn Slate Company reinvent rock formations as durable, one-of-a-kind serving pieces for the home." Yep, that was Martha Stewart. 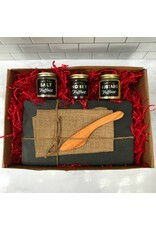 The umami is delivered by a trio of Truffleist offerings in the big 5.5 ounce jars. 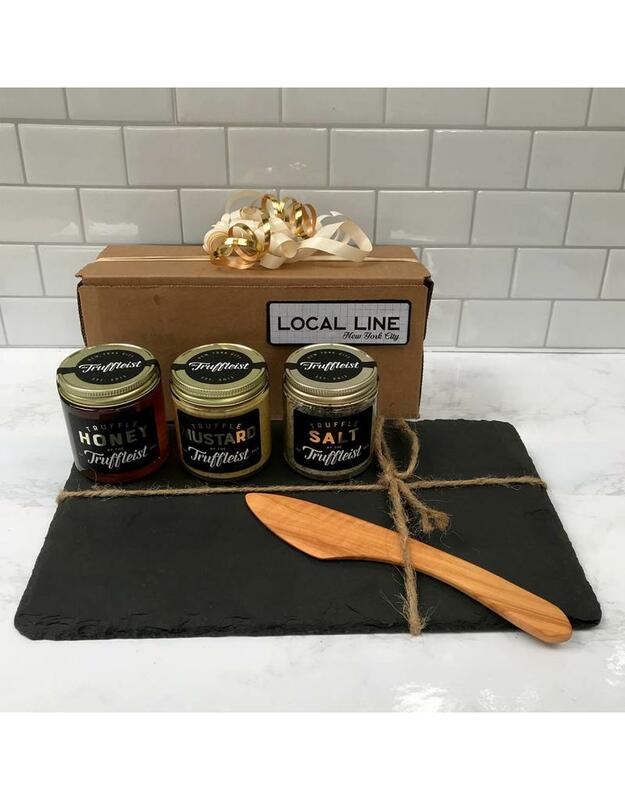 The Trufflleist and Brooklyn Slate are two local businesses with something in common. 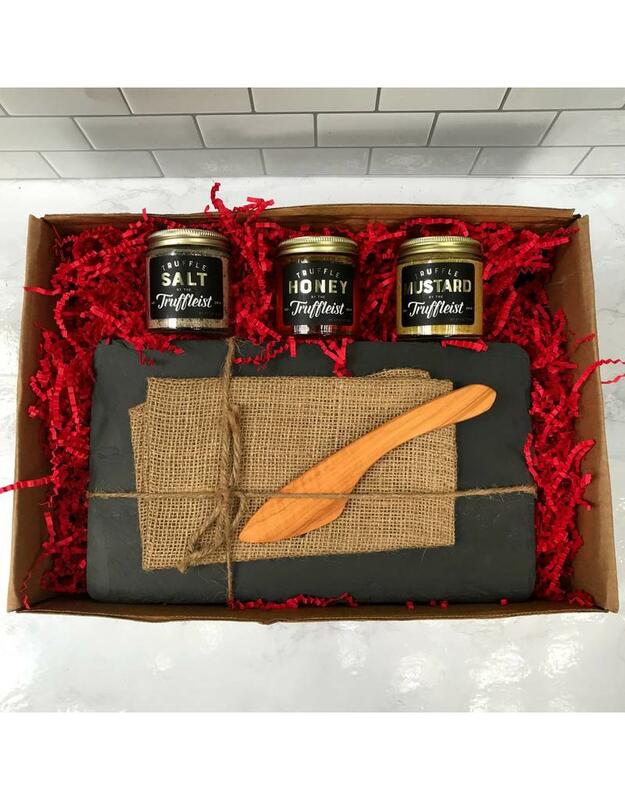 Their businesses started as hand-crafted holiday gifts that blew people's minds and the recipients encouraged them to go big. For Brooklyn Slate, Sean Tice and Kristy Hadeka grabbed a few pies of slate from Kristy’s family slate quarry in upstate New York and made trivets and coasters as gifts for friends. For Jim Kunz, it was his flagship truffle butter. So this bodes well for your gift giving. 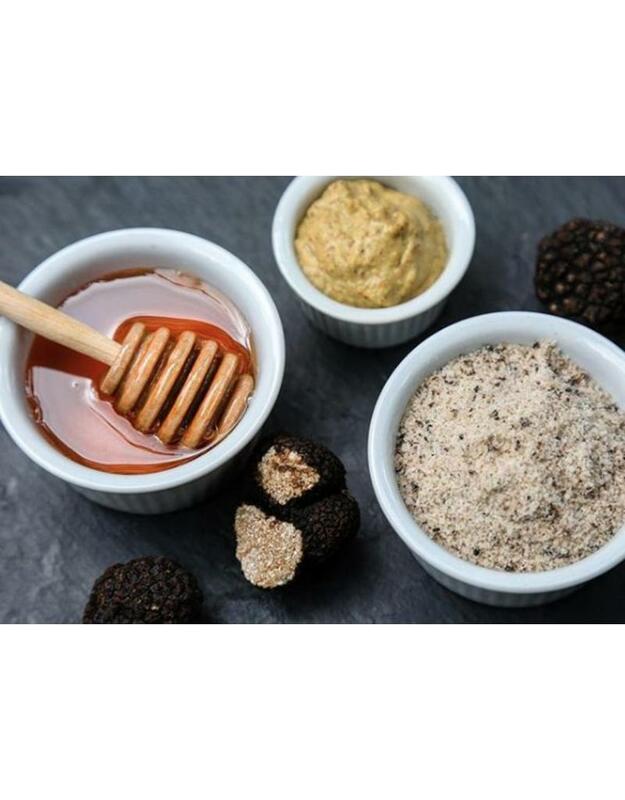 Black summer truffles are added to Bauer's mustard a New York City mustard since 1888. Contains pieces of truffles. Delicious paired with meats like bratwurst, on sandwiches, used in a vinaigrette, or any other way you use your current mustard. A beautiful wildflower honey from Tremblay Apiaries located in Van Etten, NY infused with black summer truffles from Northern Italy. Every jar contains a slice of truffle as well. Ideal for a cheeseboard, in a vinaigrette, combined with savory desserts, dripped on a goat cheese crostini, or over a fig and caramelized onion pizza.